OK, for all that didn’t know this I was one half of ‘Big Time Charlie’. We made 3 great funky disco house tracks. We had 2 Top 40 Hits! See below. Our first UK top 40 hit record was ‘On the run’ on Inferno Records – 23rd October 1999. 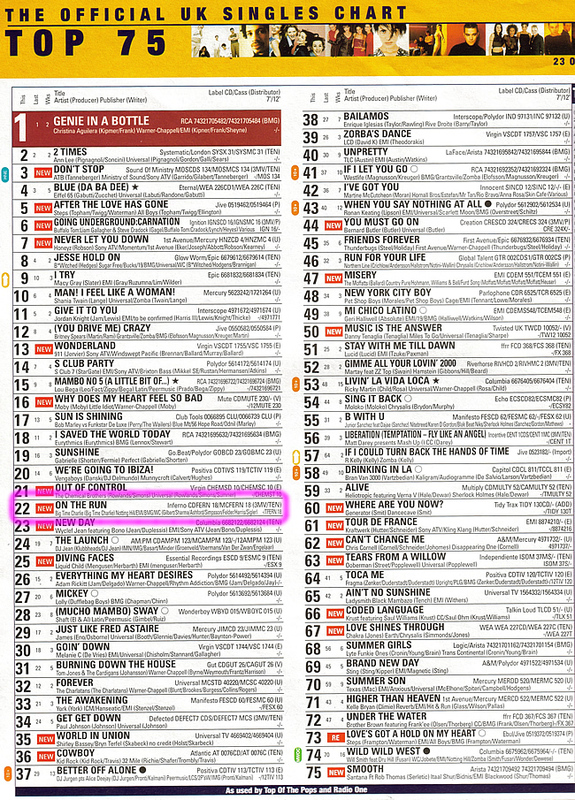 Reached number 22 (The national charts)! In the summer of 1999 this tune was massive! It was on Radio 1 ‘A’ playlist, top 3 on all clubs charts, big in Ibiza, BIG everywhere, we even made a video at Stringfellows in London for it. In 1999 if you had put the radio on within an hour you would hear it on Radio 1 or Kiss FM – A great year! Click below to play ‘On The Run’. ‘Mr.Devil’ was also a massive club tune, No.1 in all club charts at the time. Reached 39 in the UK national charts (Still a Top 40 Hit – Just!). Click below to play ‘Mr Devil’. Finally we released our third single ‘Chasing Rainbows’. See Below. Click below to play ‘Chasing Rainbows’. All tracks were hits around Europe also. Did a promotional tour of Belgium and missed our flights home, very ‘Rock & Roll’.